Nov. 21, 2016, 3:32 p.m.
At Everett and Hurite, we work hard to help patients live a normal life despite any vision problems they may suffer one. A particularly well-known vision issue that we see and treat is myopia - commonly known as nearsightedness. This eye disorder makes it so that only the objects nearest to a patient are visible; anything in the distance (or more than a few feet away, depending on the severity of the condition) is nothing more than a blur. Myopia affects 20% to 30% of the population, making it one of the most common vision problems today. Fortunately, it’s also one of the easiest to address - particularly at Everett and Hurite, where we actively strive to utilize the latest care methods to help patients adjust to living with their conditions. In fact, thanks to new research, we were recently able to begin offering the latest treatment for myopia, and it’s set to potentially make a major impact on the future of nearsighted children. When we talk about treating myopia, it’s important to remember that there is currently not an actual cure for the condition. This means that treatments are primarily about controlling myopia’s symptoms and the impact they have on our daily life. This is extremely important as myopia’s worst cases are marked by a patient’s inability to clearly see and easily navigate through the world around them; to say a severe case of myopia is dangerous without intervention is not an overstatement. Even mild cases of the condition have effects and symptoms that include chronic headaches; eyestrain; and squinting or fatigue when driving, playing sports, or looking more than a few feet away. Wearing eyeglasses or contact lenses: With a doctor’s examination and prescription, patients can obtain custom made vision aids that help to sharpen the picture of the world around them, allowing them to navigate it normally. Undergoing refractive surgery: For some, surgery is ultimately the best option for treating the root cause of nearsightedness. Examples of this type of treatment include LASIK surgery; however, as with any surgery, there are risks associated with these procedures, so interested patients will need to work closely with a doctor to determine if they are necessary and if they are a good fit. For the majority of patients, these are the standard options for addressing myopia. Thanks to new research, however, our younger patients have recently gained access to a treatment that has the potential to impact their long-term eye health in an unprecedented manner. Recently at Everett and Hurite, we began offering prescriptions for atropine to myopia sufferers. Following years of research, atropine was approved for use by ophthalmologists trying to slow the development of myopia in their patients. Atropine prescriptions have the power to make a stark difference in the lives of young children and teenagers, as atropine can slow the progression of myopia at an age where it’s most likely to develop. This new treatment is no small feat: slowing the progression of myopia may keep your child from developing serious myopia-related complications down the line. 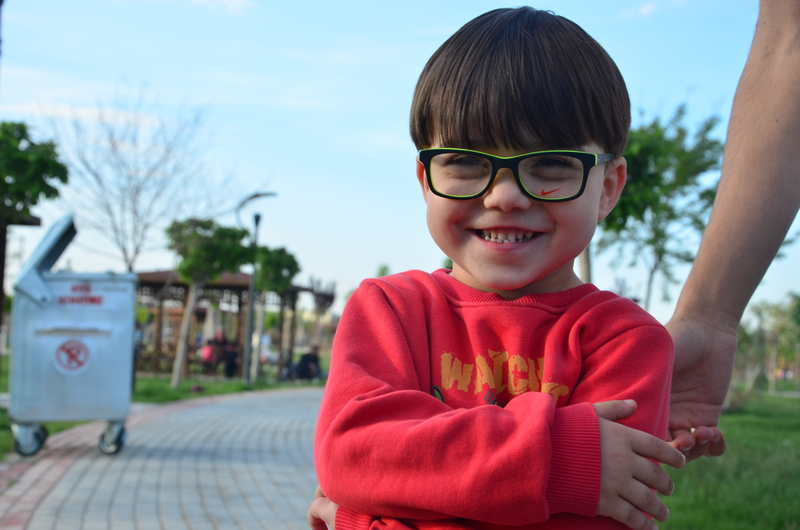 Currently, children who develop myopia early in life are more likely to need to wear thick, corrective eyeglasses. Additionally, early cases of myopia have been associated with serious eye problems later in life, such as early cataracts or even a detached retina. The use of atropine will ultimately require the approval of an eye doctor, and should be combined with regular monitoring via regular eye appointments. To learn more about the prescription and how it may be integrated into your family’s eye care routine, we invite you to schedule an appointment online or to contact your eye doctor to arrange your next visit with us. Everett and Hurite is, of course, also available to answer any eye care questions not related to myopia! If you or a family member do develop any unusual symptoms between appointments, you can check our website to see if they require immediate care, and we encourage anyone with questions to contact their doctor to ensure they receive the proper advice for their health needs.